Mr Sajjad Haider Gujjar son of Ch Zahoor Ahmad was born on June 28, 1957 at Sheikhupura. He obtained the degree of B.Sc(Hons) in 1984 from University of Agriculture, Faisalabad. 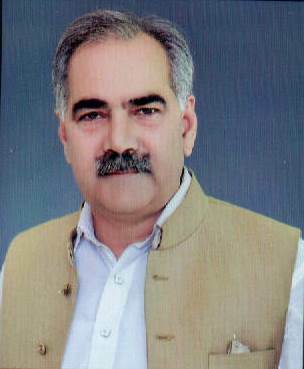 He served as Member, Punjab Assembly during 2002- 07. An agriculturist and a businessman, who has been re-elected third time as Member Provincial Assembly of the Punjab in general elections 2018. He has functioned as Parliamentary Secretary for Housing, Urban Development & Public Health Engineering.